Get Your Vehicle Moved By Pros! If you thought that the relocation of your household or office is challenging, consider the complexity of vehicle transportation. Not quite like your microwave or dresser, right? This is not something you can do by yourself. There is certain equipment and expertise that you need to posses for such an endeavor. Luckily, there is always a solution right around the corner. And one such option is the use of auto transport NJ services. Our local movers NJ possess the know-how and capabilities to ensure a smooth relocation of any type of vehicle you have. All you need to do is reach out and schedule the move. Make sure your vehicles are relocated with the utmost care – contact our Auto Transport NJ department and put your mind at ease. How to select the proper auto transport company for your needs? Perhaps you just scored a new job opportunity in a different city, but you have no means to transport your car. Or you might have just purchased a boat and have no means to pick it up. What about those of you who attend car shows and auctions – it’s important that the cars get there safely and without harm. There are tons of scenarios that all beg the question, “How will I get my car there?” You might not be able to always drive it, but thankfully there are moving companies NJ that can tackle that problem for you. 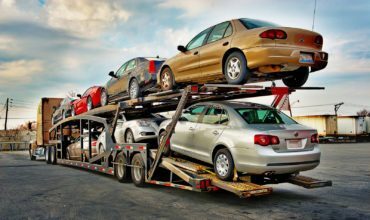 How best to prepare your vehicle for auto transport NJ? Any chips, dents, scratches or other cosmetic damage should be noted. Take pictures from various angles and focus on any existing damage signs. Remember to remove any parking passes or toll tags – no need to drag that along. Because if you leave your toll tag in the vehicle, the fees of each toll your car passes through will just pile up. So, save yourself unnecessary charges and be sure to remove it! Also, if you have a custom alarm system, be sure to remove or disable it. Auto Transport NJ reserves the right to disable it by any means possible if it goes off during transport. So be sure that it is off. Auto transport NJ insurance will not cover any personal items inside your vehicle. These items may shift during transport and cause immense damage to your vehicle. So, you need to make sure that you remove them. After all, you will be held liable if your items cause damage to another vehicle or the transport truck. Furthermore, these items will add to the weight of the vehicle, which will impact the price and speed of service. Before we pick up and load your vehicles, you need to make sure that everything has been emptied and prepared for auto transport NJ services. Though your car will be driven minimally during the transport process, it should nonetheless be in good driving condition. Vehicles that don’t run can be transported, but the transporter must know this in advance. This way, they can make the proper preparations. The battery should be fully-charged and the tires properly inflated. You should fill up all fluids in the vehicle. Empty out your gas tank to a quarter or eighth full. 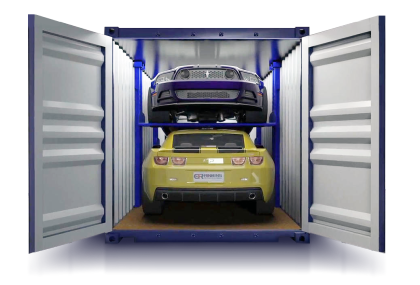 This will save weight and help keep your auto transport NJ to go by more quickly. Keep an eye on the vehicle for a few weeks prior to shipment. If there are any leaks or mechanical problems make sure the driver knows. Such vehicles should never be placed on the top rack of a multi-car carrier because they can drip on the vehicles below. Provide clear instructions for any special steps to drive your car on and off the trailer (including any mechanical issues). Give these instructions to your auto transport NJ operative. To help our professional movers ship your vehicle with ease, make sure that it is ready to be loaded on and off your car transporter’s truck or trailer. Bear in mind that the better condition your vehicle is in, the higher the chances are that it will arrive on time and without damage. If the vehicle has no roof, make sure the top is secured as thoroughly as possible to avoid damage from air, debris, or moisture. You should also consider adding extra protection with a wind-resistant tarp. Why should you opt for New Jersey Transport for your auto transport NJ needs? As a full-service provider of a variety of moving & relocation services, New Jersey Transport provides customers with the ability to relocated their vehicle with the help of our auto transport department. Our auto transport experts are equipped to handle the relocation of all types of vehicles. We specialize in helping customers transport their cars, SUV, off-road vehicles, motorcycles, and even boats. Yes, we can transport your boat if you need us to. Call today for a quick auto quote at 888-502-6121. Below are some auto transport services we offer. All you have to do is call – New Jersey Transport will take care of everything else!